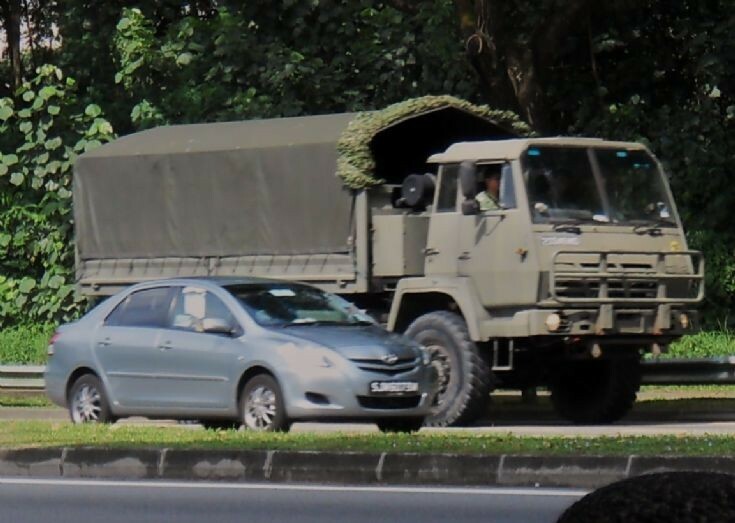 This Austrian made Steyr 3 Tonner military truck which is owned by Singapore Armed Forces (SAF) is spotted here travelling along Lentor Avenue in Singapore on its way for a military exercise. This Steyr truck has the smallest number in the SAF 3 tonners fleet. Photo taken in 2010. Added by Jeremy on 30 January 2019.